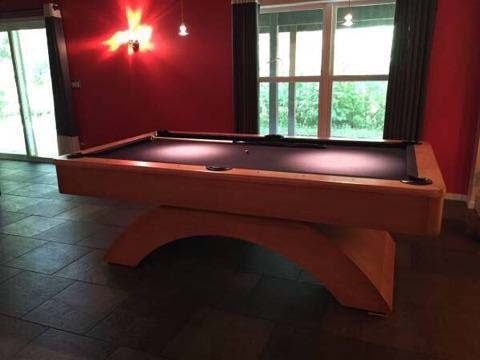 This 7’ Olhausen Waterfall pool table is so much more than just a billiard table, it’s a work of art. 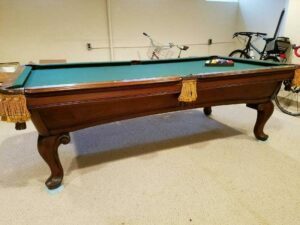 With it’s contoured base and smooth edges, this geometrically and aesthetically pleasing table is guaranteed to be the conversation piece of your game room! 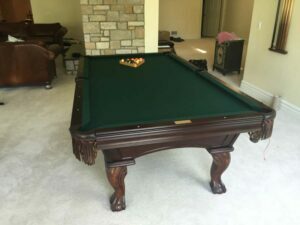 The rare 7 foot size of the Waterfall means it would also make a great collector’s piece. 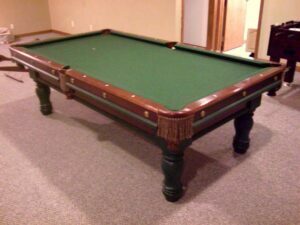 The Waterfall is a pool table with full nut and bolt assembly, so you can be sure of its structural integrity! 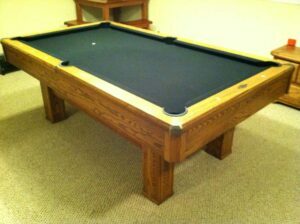 The 3 piece slate means that transportation and setup are a breeze for our team of expert pool table movers. 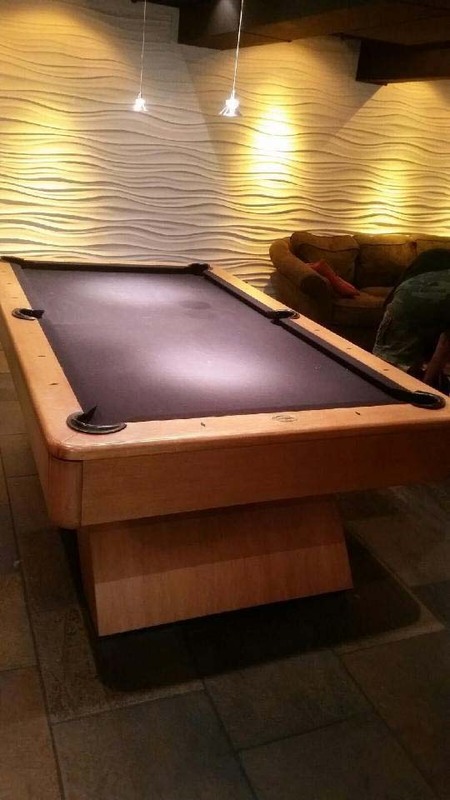 This table is complete with Olhausen’s leading Accu-Fast cushions made of 100% gum rubber and treated with proprietary chemicals, meaning they will hold their form and never revert back to a natural soft state like other cushions will over time. What does this mean for you? 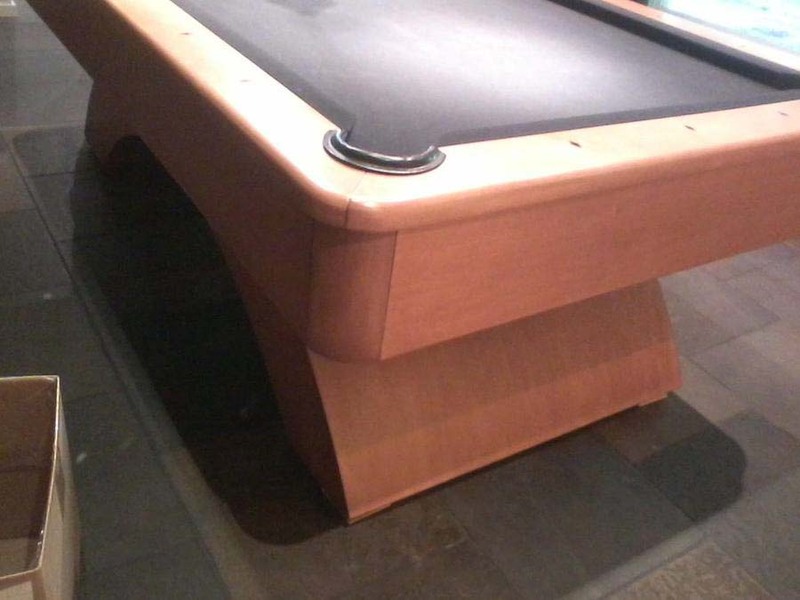 You won’t need canvas control fabric for your pool table, and you’ll have the most accurate and consistent game play every time!